Comics have been a staple of American society for over the past seventy years. One fundamental flaw for this industry has always been a lack of adequate representation in regards to diverse characters. As comics continue to increase in popularity it becomes more important for there to be better representation because of their greater influence on the larger culture. market that continues to expand in new directions with each passing year. In addition to movies, there are a plethora of live action comic book related television shows such as Marvel’s Agents of Shield, Marvel’s Agent Carter, The Walking Dead, Arrow, The Flash, Supergirl, and the recently debuted DC’s Legends of Tomorrow. With all the heightened attention these movies and TV shows receive, comics have become more pervasive in mainstream society. 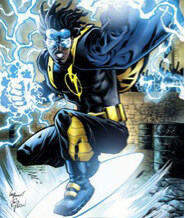 One could easily say that now is the best time to be a comic enthusiast. However, despite the long road that comics have come in finding their way into the mainstream, there is still one fundamental issue that must be adequately addressed by this industry: diversity. For the majority of their publication history, comics catered to an audience of strictly white males and the stories reflected that by having little to no representation of minorities or strong female characters. In recent years, the industry began capitalizing more on a growing female readership and a diverse demographic. Marvel Comics has seemingly lead the charge for more diverse characters in their stories. 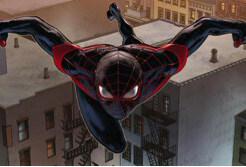 In 2011, Miles Morales, a black-hispanic Spider-Man, was popularized in Marvel’s Ultimate Universe and has since crossed over into the main continuity. 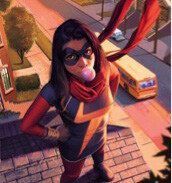 Two years later, Kamala Khan, a Muslim-American Ms. Marvel, debuted and went on to headline her own title. 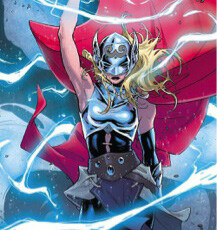 Marvel has since introduced a female or, a hispanic Ghost Rider, and a gay Giant-Man. Many of these characters are fan-favorites and certainly open the door to more varied perspectives for readers, however this is not enough. The industry is making strides in the right direction, but it is not near where it needs to be. on their own. We need more characters such as DC Comics’ Cyborg, Midnighter, and Katana, Milestone Comics’ Static and Xombi, or Image Comics’ Spawn to name a few. All of these aforementioned characters are original and stand on their own; as such, they hold more weight than legacy characters. While the inclusion of new legacy characters is a good start, there is still work to be done. Creating original characters organically is the way to go. Because ultimately, we live in a diverse world and comics should reflect that.